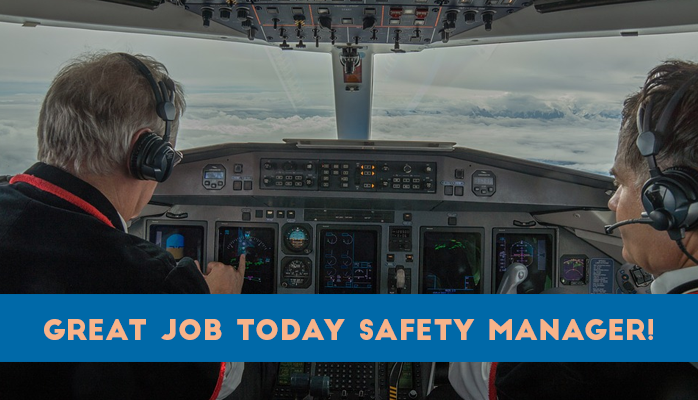 I am guessing that every accountable executive you speak to will honestly profess to support their aviation safety management system (SMS). After all, the alternative would be that top management only cares about making money and not doing everything reasonably practical to improve safety. Not giving safety managers enough "face time." But there are other ways that executives damage their aviation safety cultures. 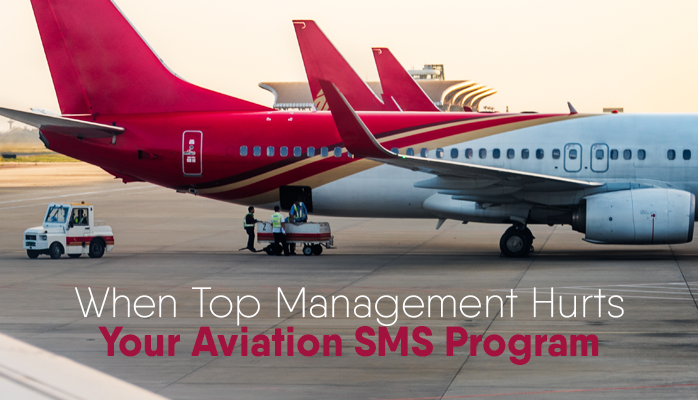 Managers at airlines, airports and maintenance organizations shape the way employees think and behave toward your aviation SMS. Many of the younger employees will view the older managers as role models and shape their behaviors and attitudes to match those of their leaders. Your managers actions and attitudes shape safety culture. What Is Safety Culture in the Aviation Industry? Here are three ways that managers can either intentionally or unintentionally harm your aviation SMS. It’s easy when you move into a management position to forget that employees are generally very sensitive to management's opinions, and employees will therefore usually adopt the concerns and attitudes of management as their own. But what employees are sensitive to has a lot less to do with what is actually said or stated by management, and has much more to do with what is implied by management’s actions. For example, if there is a "No Smoking" policy in the baggage handler's rest area, and if a manager is frequently seen smoking there, other employees may follow suit. Of course, this is an extreme example, and it would never happen at your company. So while management may openly adopt an SMS and speak about their support of the SMS, if management doesn’t regularly and openly follow up in action then employees will not take the aviation SMS seriously. Humorous safety events seen on social media, like LinkedIn or Facebook. And to really spice it up, the managers may discuss benefits of the SMS and how there are not only "safety" benefits, but also business benefits that will make the company more competitive in the marketplace by reducing losses, accidents and lost time injuries. Management has to beware of the unspoken messages and craft effective safety promotion messages. Safety teams can help craft a few "stories" to share for those unimaginative managers who don't have a story of their own. These stories are a good idea when you want to keep managers positive and "on-message." SMS managers who fail to garner management support of the SMS will never have a successful SMS. Helping managers with their "SMS message" will also reduce resistance from upper level managers. Help these managers help the SMS (and the safety team), and ultimately the accountable executive who is responsible for the performance of the SMS. What we are talking about here is cronyism – where advancement is based more on who you are friends with rather than your performance. You may want to refer to Cronyism kills safety culture. Long story short, cronyism a distraction from the aviation SMS and it demonstrates to employees that the system is less important than the relationships. Another corporate safety culture killer is the hoarding of knowledge. This is often seen in crony-like cultures. Employees that are not in with the right people develop other "coping" skills, or one may easily say these are "survival" skills in a toxic safety culture. Hoarding of knowledge is seen where managers are afraid to train others to perform their job duties because they will then be "replaceable." Having to live with the survival instinct of struggling to become irreplaceable continues to foster the sick safety culture. Trust is obviously very important to develop a healthy safety reporting culture. How can a company develop this trust when there are political factors that continue to destroy trust and breed fear, uncertainty and doubt toward management? Safety promotion activities that are attended by upper management must appear genuine. The same applies to safety messages and "pep-talks" in safety newsletters. Nothing sours a line-employee faster than reading flowery nonsense that was meant to please the regulator and miss the intended audience. Toxic safety cultures can change, but it takes time. There are positive and more nefarious aspects of feedback. Likewise, feedback also has a punitive edge to it. As in, I should care about the SMS policies/procedures because it is being accounted for, and it will actually reflect poorly on me as an employee if I disregard my responsibility to the SMS. Despite having this punitive edge, it nonetheless remains a great motivational factor in wiping away apathy. Not giving feedback is similar to being in school when a teacher tells you to study something, but they won’t be testing you on it. Thus, giving regular feedback gives employees the impetus to care about the SMS. They get to feel good both for getting positive feedback and for not getting negative feedback. In some cases, a manager may not be aware of his influence on "your party." This is completely understandable. It is like me being at home and doing something without understanding the effect it may have on my wife and neighbors. I may be completely oblivious to the harmful effect of my actions because I may not have considered my actions from another viewpoint. This is similar to the sixteen-year-old cranking his car's stereo music in his driveway. His loud, thumping music may really excite him and make him feel good. But to me, he's causing me all sorts of grief because he doesn't realize I don't like to feel the deep bass thumping my body, even though I'm four houses down. Just like confronting the teenager, the safety manager must express tact when dealing with managers. In many cases, there may be a training issue. Managers may not understand the importance of SMS and how data collected from the SMS can facilitate decision-making processes that extend beyond the "safety department," but add financial value to the organization. financial benefits from reduced accidents and subsequent losses. SMS should be seen as a potential profit driver from a management's perspective and not simply a "regulatory requirement that the safety department has to deal with." As managers realize the business value of the SMS, their attitudes and behaviors change. Safety cultures will also begin to improve as employees recognize that SMS is important to the entire company, and not just to the safety department. There are some cultures where you need to put your foot on the back of both employee and manager's necks. Try as you may, you are unable to overcome the resistance to the SMS. Again, the accountable executive is responsible for the performance of the SMS. Get him involved. One suggestion for ultimately toxic cultures is to implement an employee safety performance monitoring system. When employees know that their safety-related behaviors are being tracked, they will reluctantly oblige to shift their behaviors toward management's expectations. It is not difficult to implement an employee performance monitoring system when it is integrated in your SMS database. You could do this with spreadsheets, but spreadsheets are not sustainable for long periods of monitoring or companies with more than 100 employees. Otherwise you will need an SMS database. There are several low-cost commercially available SMS databases that track employee safety performance. If you wish to see one, sign up for a demo or watch the demo videos below. Please watch before requesting a live demo. Non-punitive reporting policies must be understood and accepted by all managers in order to have an open, healthy hazard reporting culture. How is your non-punitive reporting policy? Is it time for a review? Published January 2016. Last updated January 2019.